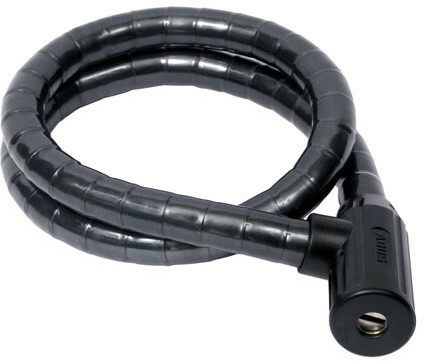 The Steel-O-Flex 840 offers tremendous value for money, being a great idea for the budget-conscious rider needing more security than just a regular cable. The 840 features a 19mm Steel-O-Flex cable with a compact pin tumbler locking mechanism that is also drillprotected. Why choose an Abus Steel-O-Flex lock? Click here to find out.